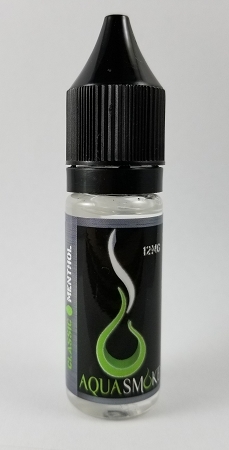 AquaSmoke Classic Menthol 15ml "IC"
Home > Indiana Compliant E-Liquid > Aqua Smoke E-Liquids > Tobacco Flavors > AquaSmoke Classic Menthol 15ml "IC"
1. The name speaks for itself. If you prefer the cooler, more refreshing tobacco blends with a crisp bite…this is YOUR flavor. A pleasing and minty mix that is arguably our most flavor accurate E-Liquid.